Magic so close you’d swear it was real. 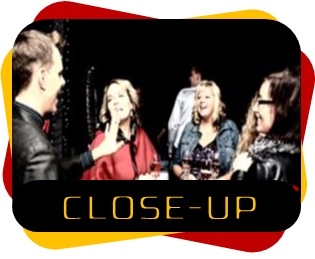 Close-up or “Table Hopping” magic is great for restaurants, company meetings and more. Randy the Magicman is Belleville Ontario and surrounding area’s go-to family magician. Bringing an entertaining and charming charisma to a unique never before seen experience. keeping the guests entertained while there delicious food is being prepared or as an addition to the entertainment already being provided. Unlike the STAGE SHOW this close-up magic leaves guests with a unique souvenir of something magical that happened right in front of them. Click Here to book you Close-up Magic Show.